It was amazing to take a team to a part of the world where the term "mission field" isn't typically mentioned. The city of Lyon, France doesn't have many of the needs we commonly see in, say, third-world countries. Where a team from our church might typically see impoverished villages, lack of fresh water, or rampant physical diseases, our Lyon team instead found a city rich in culture, art, and history. The initial thought was, "What could these people possibly need?" The need, we quickly found, is not physical or necessarily financial. In France, the church has fought an uphill battle for centuries, and that battle continues today. Here in the States, there's a church every few blocks, most of them consistently attended to some degree (even if they're not rapidly growing or have reached "mega" status). Yes, France has many church buildings too. Most are strikingly beautiful. They're also often empty. Not just low-attendance empty, but doors-shut, abandoned-for-generations empty. Unlike other places in the world where our church has sent families, it's not illegal to be a Christian. There are no underground churches. They won't rebuke you for not believing in their God, because they are mostly indifferent to the idea of God at all. This is a place that seems to have moved on from its "need" for anything religious. Layered on top of that is a cultural norm where people don't really engage with their neighbors much. Relationships are hard to start, and to hard to sustain. This is the difficulty of starting a church in a place like Lyon, which is exactly what our Sojourn families, the Wainrights and Leightenheimers have done. 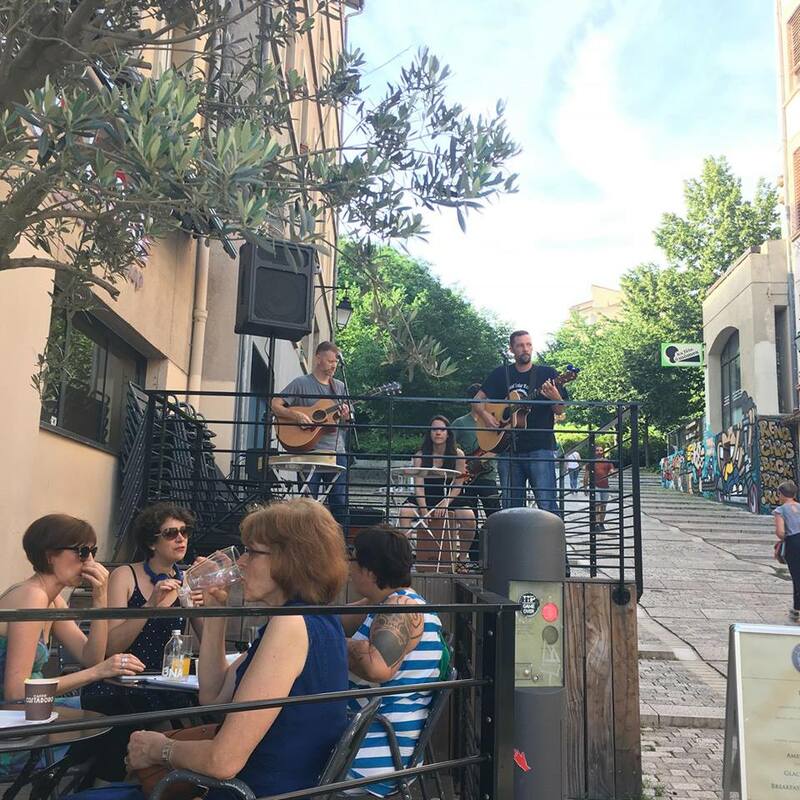 In June, a small team from Sojourn Music traveled to Lyon to support these families, play music in several different venues (street corners, cafes, apartments, and even in the newly planted church). The Lyon families believed that music from their community "back home" would be a bridge that would connect them to their neighbors, local business owners, and other small church plants. This belief bore fruit, as our team played music both inside and outside the "church" setting. Sometimes the words were in English, sometimes in French. Sometimes it was worship music in the church, sometimes it was American cover songs on the sidewalk. We got to see clear evidence that music transcends language, that God can use anyone/anything for His redeeming work, and that all nations, no matter how rich or poor, are included in the mission field. The Sojourn Music Lyon team thanks all who loved and served us through giving, prayer and constant encouragement. Our Lyon families were certainly blessed, and we as Sojourn Church are blessed to have them living and serving in France.